Hotel-Online » News » It’s Budget Season… Are You Ready? 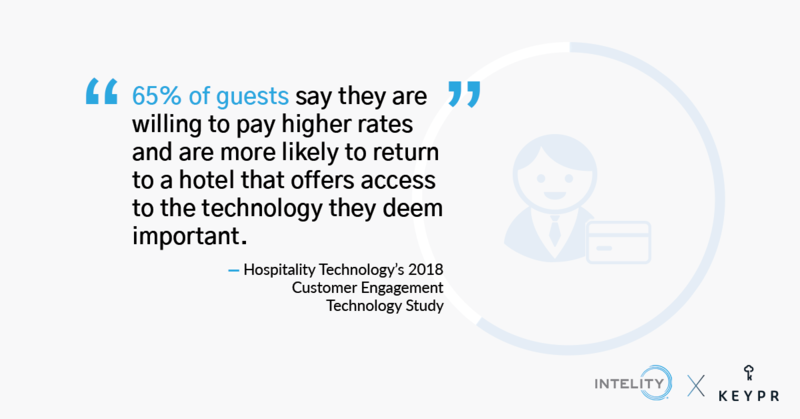 According to Hospitality Technology’s 2018 Customer Engagement Technology Study, 65% of guests say they are willing to pay higher rates and are more likely to return to a hotel that offers access to the technology they deem important. Guests’ technology demands for 2019 include having a hotel mobile app with a variety of features, the ability to check-in and out from a mobile device, and high-tech features available in guestrooms. 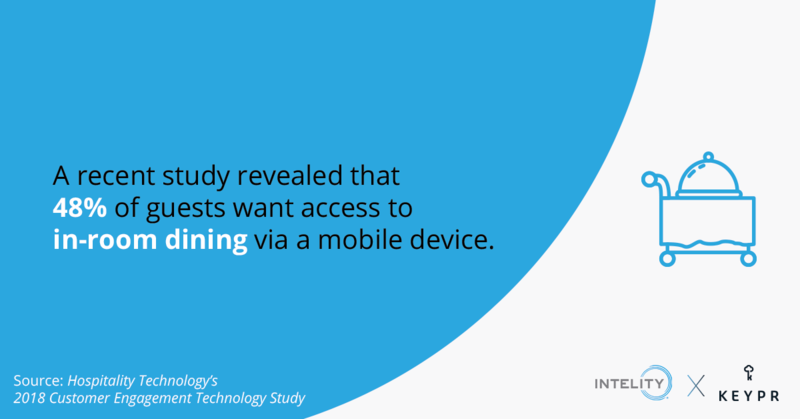 However, travelers aren’t the only people demanding better hotel technology. As hoteliers prepare their 2019 budgets, various studies in consumer travel behaviors are substantiating the need to incorporate mobile guest experience solutions. The Intelity and KEYPR platforms are giving guests fingertip connectivity to the hotel along every step of their journey, from the moment reservations are made until long after travelers check out inclusive of App, Mobile Web, Text, Social and In-App chat. By giving guests direct digital access to request things like room service, housekeeping or wake-up calls, hoteliers are revolutionizing and personalizing the guest experience. Budgeting for these solutions is an investment in guest loyalty and satisfaction. The result is a healthy financial future for owners. As technology continues to dictate travelers’ expectations and demands, Intelity and KEYPR stand ready to equip hoteliers with the tools they need to deliver on those experiences. Intelity, headquartered in Orlando, Florida, is the creator of the world's first and most widely used integrated guest services platform, ICE (Interactive Customer Experience™). With certified integrations to all major hotel back-end management systems (POS, PMS, Ticketing, Spa and Room Controls), Intelity's ICE is a centralized property-automation system that delivers concierge-level services, guest request tracking and fulfillment, business-intelligence analytics, marketing/messaging capabilities, and a full content management system. Since beginning operations in 2007, the Inc. 5000 company has gained a reputation as a leader in hospitality technology with installations across six continents, including most major brands and many celebrated independent properties. Intelity recently received designation as the "Official Mobile and In-room Technology Provider" of the Forbes Travel Guide. For more information, please call 1-888-738-7271 or visit www.intelitycorp.com. KEYPR® is the broadest cloud-based guest experience and management platform for hotels, casinos and luxury residences. The platform delivers a personalized, friction-free guest experience, while creating new operational efficiencies and driving additional revenue opportunities for property owners and operators. Guests can access a directory of services, including dining, entertainment, third-party content and more through an in-room tablet and custom mobile app. The app also allows guests to bypass the front desk via KEYPR's digital key. Additionally, owners and managers gain valuable insight through the integrated dashboard (GEMS®) and intuitive tools that provide visibility into guest needs before, during and after their stay &mdash' all while easily monitoring operational KPIs across multiple properties. For further information, visit www.keypr.com.